It’s Just Sauce Original is a Sweet and Tangy Sauce that is perfect on just about everything. Whether you are grilling, smoking or have something in the oven or crock pot use It’s Just Sauce Original to complete your meat. We tested tons and tons of our own recipes until we landed on one that is just perfect for everyone. We don’t use liquid smoke in our sauce as it is the main cause of heartburn and that “burpy” feeling that you get after eating some sauces. All of the smokiness in our sauce comes from the 18 different ingredients, some from as far away as Africa and Louisiana. 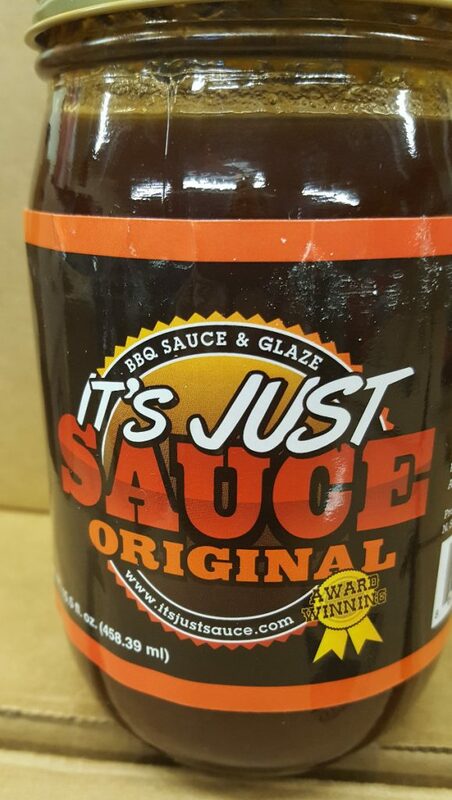 Try It’s Just Sauce Original on ribs, chicken, pork chops, pulled pork, beef, meatloaf, little smokies, meat-balls and even drizzled on scrambled eggs. There are so many uses for this sauce that we can’t list them all! We have won numerous awards and competitions with our awesome sauce! Including several county competitions, the Iowa State Fair (for teams RIBS) and for showmanship, also a fabulous 2nd place finish for our ribs and for peoples’ choice for chicken at our very first KCBS sponsored event at Bikes, Blues and BBQ in Arkansas. And recently 1st Place in People’s choice at the 2016 KCBS Bikes, Blues and BBQ event. It’s Just Sauce Original is a local favorite and everyone from 3 to 93 like the unique flavor that is sweet on the front side but with just enough of a zippy finish to entice the spice lovers as well. Give us a try – you’ll love it! Wing Zing is a tasty blend of all the spices of It’s Just Sauce with the addition of several other unusual flavors and added “ZING”! It’s great for Wings, Korean style ribs, Chicken, Stir Fry, Egg rolls and anything else you want to add some Zing to! The flavor is out of this world! 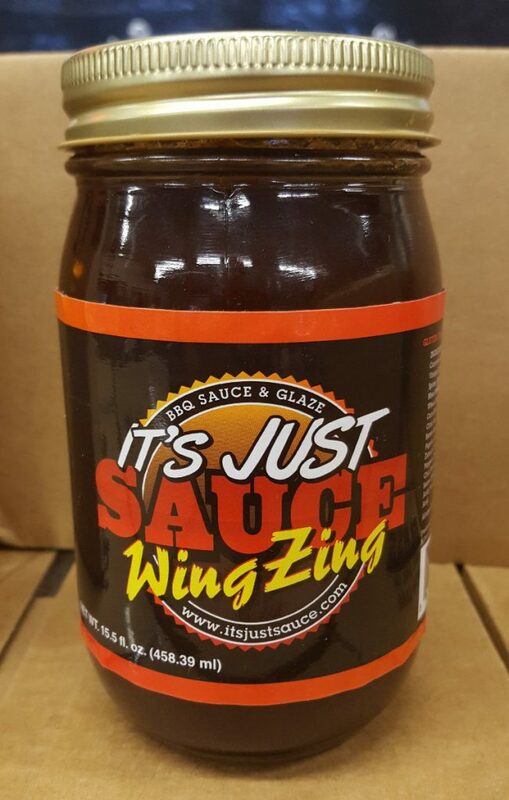 We know you’ll love It’s Just Sauce “Wing Zing”!